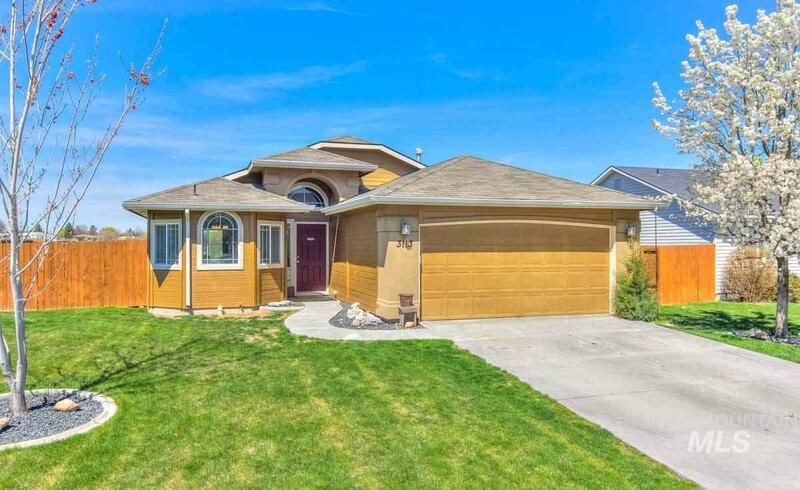 All Royal Meadows homes currently listed for sale in Nampa as of 04/21/2019 are shown below. You can change the search criteria at any time by pressing the 'Change Search' button below. "Dont miss the opportunity at this home with no rear neighbors. Great open floor plan with vaulted living area. Newer carpet and exterior paint as well as a serviced HVAC system, this home is turn key ready. Abundant natural lighting and planter shelves throughout the home. Large master with walk in closet and bathroom. Kitchen has pantry, breakfast bar, and several windows for natural light. Rare hardboard siding with stucco accents as well as fire pit and seating area in back. This home wont"
"Beautiful home in desirable South Nampa, excellent floor plan that includes 3 beds on a split bedroom floor plan, updated carpet, paint and SS appliances! Fully fenced, Large back yard for all your entertaining needs. Appealing exterior w/ fantastic porch area and close to all the fun, shopping & great commute access." "This is one of the most popular split bedroom plans available with 3 bedrooms 2 bathrooms, a private master suite, soaring Vaults in the great room, breakfast bar in the kitchen, corner pantry, and the list goes on. 2 car garage with plenty of yard on either side of the home to provide space between you and your neighbors. Also features a fantastic yard with oversized patio space perfect for outdoor barbecues."